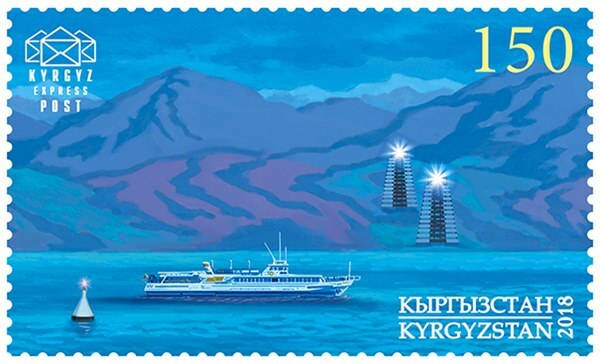 It is given that the MOSCOW is depict a passenger ship owned by the President of Kyrgyzstan. She was a unit of Project 1430 and built by the Ilyichevsk Shiprepair yard IM 50-Letiya SSSR at Ilyichevsk for the President of Kyrgyzstan under yard no 68. I have only the details of the class built on that yard, and most probably this details are the same for the MOSCOW. Displacement 75.7 ton standard, 99.7 ton full load, dim. 33.3 x 5.3 x 1.5m. (draught). Powered by two 3D12A diesels of 300 hp each, twin shafts, speed 14.5 knots. Can carry 107 passengers and has 4 crew. 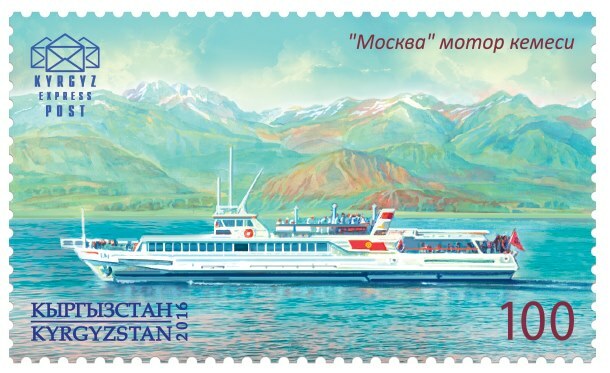 Used on Lake Issyk-Kul with two other passenger ships the GENGHIS and MËLTUR, it are comfortable ships and used for sightseeing daily with tour groups on the lake. Kyrgyzstan 2016 100 Som sg?, scott?